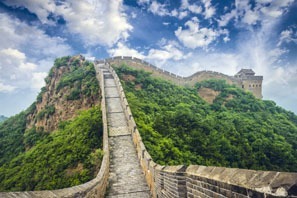 China is a year-round travel destination. Regardless of when you go, there is always a place that is worth visiting. 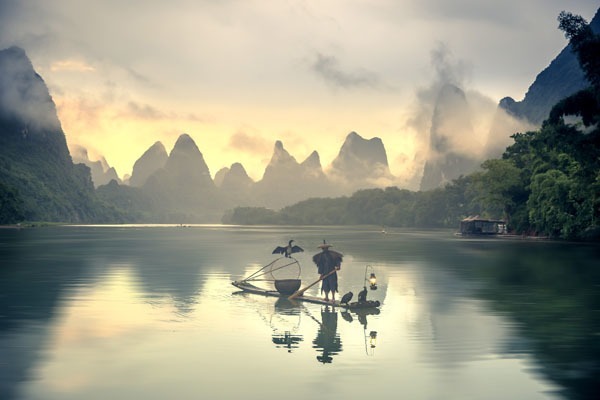 Weather-wise,the best times to visit China are spring (April–May) and autumn(September–October), when most of the popular places have their most tourism-friendly weather. Weather: It is warm and comfortable. Temperatures average 10–23°C (50–73°F), warming up, with fresh air. Though relatively dry in north China, rain intensifies toward summer in south China. Spring is one of the best times to visit China, especially for nature lovers. Flowers bloom and temperatures are cool to warm. Wet weather needn&apos;t dampen travelers’ spirits in the south of China. 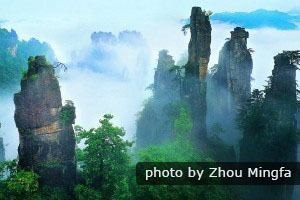 The rains can actually enhance views, with mountain mists in areas like the Li River (Guilin) and the Yellow Mountains. If you’re bothered by rain showers, make your trip to drier Beijing and Xi’an. See more on Top Places You Should Visit in China&apos;s Warm Spring. 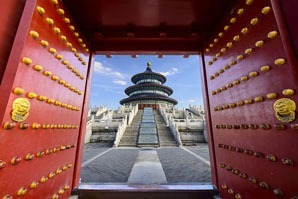 Summer is in fact the time with most things to do in China — from city sightseeing and sunny mountain hiking to minority festivals. 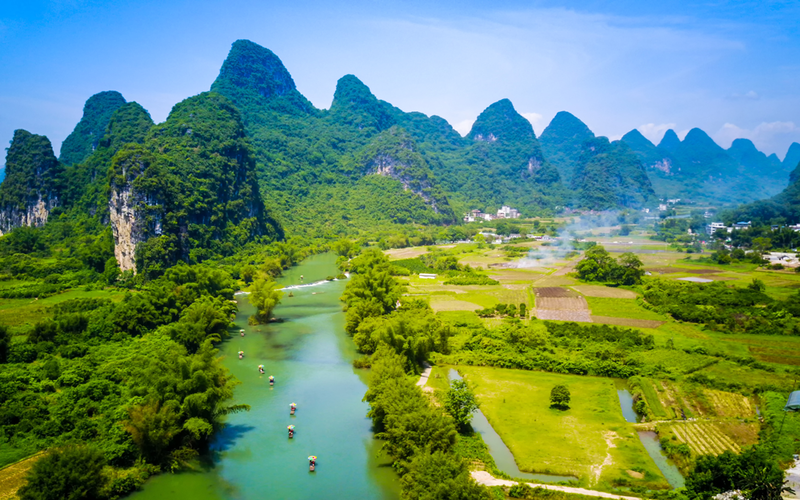 It offers optimum conditions for mountain and highland destinations, such as Tibet, Yunnan, Guilin, and Zhangjiajie. .
Be prepared for heat and try to book in advance if you are visiting Beijing, Xi’an, and Shanghai. 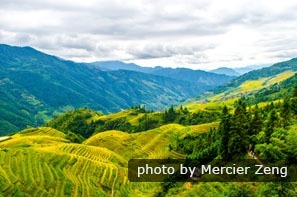 If traveling to southeast China, e.g. Hong Kong, be flexible with your itinerary in case of flight delays or cancellations caused by typhoons. Summer (June–August) is a good time to travel, except for the crowds and the heat. It is a peak travel time for Chinese families with school-age children, and students. If the heat and crowds are challenges for you, a private tour will make your trip easier and more comfortable. Your guide can help you avoid the crowds and private air-conditioned transport will keep you cooler. Overall, autumn in China has the best weather conditions with less rain than spring or summer, and more clear days. Most of China has warm to cool temperatures, and the summer rains have stopped (apart from around Hong Kong). So it&apos;s relatively dry. 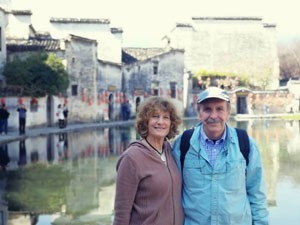 Many travelers choose autumn to visit China, especially outdoor activity lovers. The fall hues and variety of fresh local fruits will enhance your trip. Get inspiration from Top Places to Visit in Autumn in China. 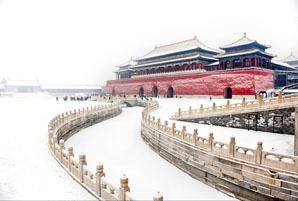 The Forbidden City is quiet in winter. China&apos;s winter low travel season is from November to (early) March. In the low season, although the weather is colder, you can save money on hotels, flights, and entry tickets, and you can avoid the tourist crowds. Cities in north China like Beijing, Pingyao, and Harbin are gorgeous under a blanket of snow. If you can’t handle the chilly weather, south China has warm places, such as Hong Kong, Macau, Hainan, and southern Yunnan. See more on our China Winter Travel Guide — Places to Go, Activities, Suggestions. 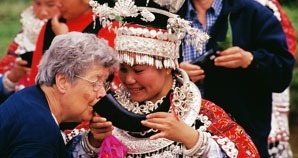 It&apos;s a Miao custom to offer visitors wine from a horn. See more on China&apos;s festivals. Join in the festive celebrations and experience authentic Chinese culture with our China festival tours. You can find out how locals celebrate the most important days in their calendars. 1. The cultural and historical destinations like Beijing, Shanghai, and Xi’an are hardly affected by weather conditions. They are suitable to be visited all year round. 2. Book well in advance and get ready for crowds of Chinese tourists if you are travelling during Labor Day Holiday (May 1-3), Chinese National Day Holiday (October 1-7), and Chinese New Year Holiday (in late January or early to mid February). 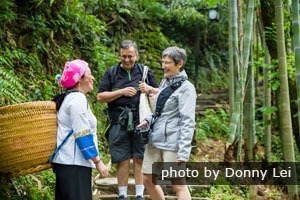 Our clients enjoyed a tailor-made tour to a Miao village in Guilin. Our travel advisors are very glad to give you suggestions and guidance for your trip planning. They can tailor-make your trip according to your interests and requirements, and help to find the best time of year to go to China for you. Find more ideas on our China tours. 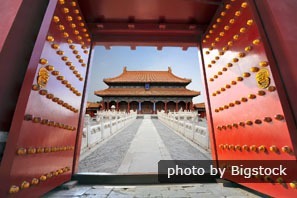 Or you can read our suggestions on how to plan your trip to China this year.